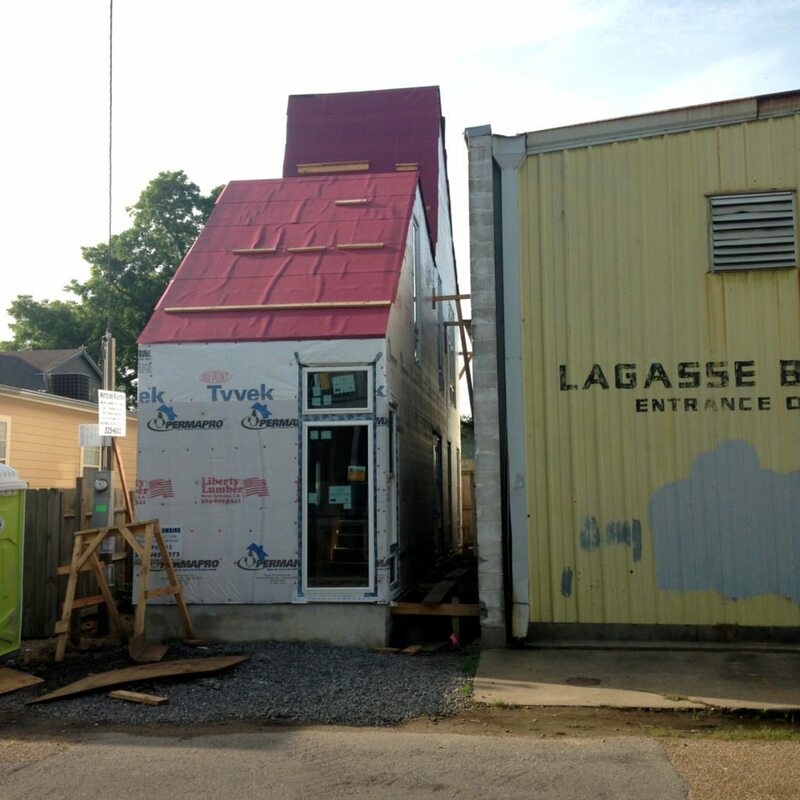 OJT found an irregular, small lot to build its beta tiny home to add to housing affordability in New Orleans. In New Orleans, there are an estimated 5,000 similar lots. A local real estate agent is working with the firm to help market these homes to buyers. Finding affordable housing is a challenge for many first-time homebuyers, and for architects, it is a challenge to supply them. OJT, the Office of Jonathan Tate, is an architecture firm based out of New Orleans that sought the need to reimagine the affordable home and knew there was a new way to create inventory. The answer: tiny homes. Tiny homes have been a trendy hot-button topic for agents, community members and homebuyers alike, and the purpose of these small living spaces stretches further than eco-friendly living. Because a major factor of developing affordable homes is finding affordable land to build on, Tate and his team, which includes developer Charles Rutledge, found the solution to be in the roughly 5,000 parcels of land throughout New Orleans. The small, oddly shaped properties are not large enough for a traditional home, and at the same time, Tate believes there is a large market of people who aren’t even interested in the “normative” three-bedroom, two-bathroom home. The team behind the project is looking to not only provide affordable housing but also to shake up the economic demographic of a community where both higher-end homes and affordable properties for first-time buyers are available. “Our hope with this, ideally, is that these kind of developments that happen in established neighborhoods would allow a continued mixed economic spectrum,” he said. The home is currently in development and is slated to be on the market by the end of August. There is currently a local real estate agent working with the team to determine how to present this new type of home to the public. One of the most important roles of the real estate agent in this process has been soliciting for irregular properties, which are typically owned by a family, individual or business that simply doesn’t know what to do with it. When it comes to marketing and presenting these properties to the public, OJT is working on the best way to approach it. Being the company’s beta project, there are a lot of questions looming, and Tate believes this is a living project that could change or shift depending on how the community reacts. Accommodating market dynamics is the tricky part, he says. The group is trying to determine a good model for selling, as well as how to price the home just right. Although tiny homes are not necessarily new to the market, Tate says the approach is a major factor in ensuring that the process runs smoothly. “We’re looking for things that make you think, design thinking and generally how space is used. And it’s about both the internal and external space,” he said.